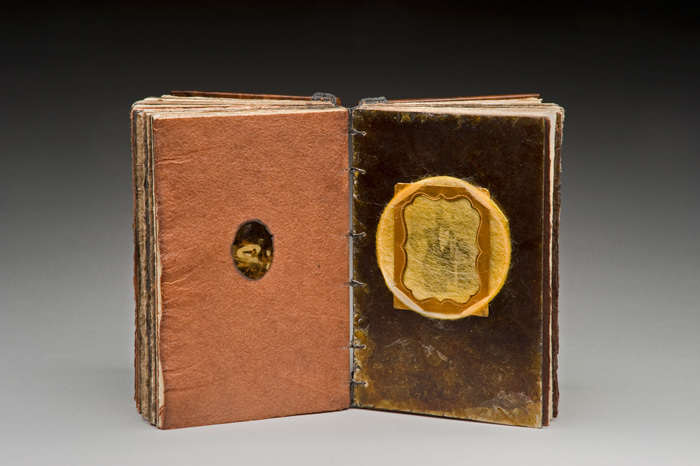 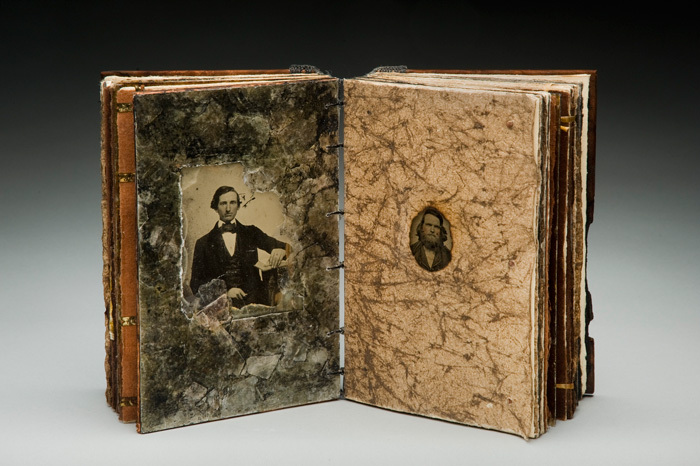 This workshop explores the pleasures of creating and filling a hand-bound book. 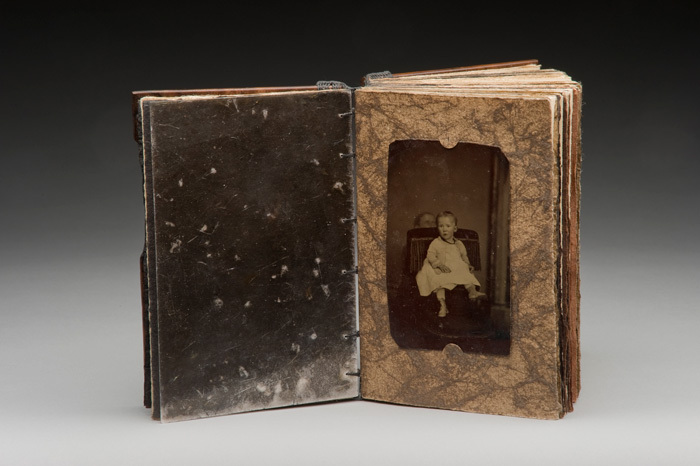 Utilizing a binding that has withstood the test of time with its elegance, flexibility, and strength, we will first bind a book of fine papers and ridged translucent mica sheets. 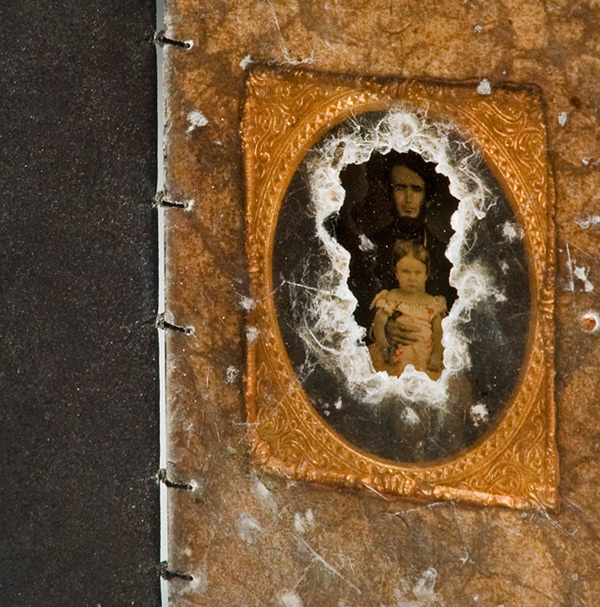 We will then cut, hammer, glue, shred, paint and sew back into the pages, creating niches, alcoves, and secret spaces to house and protect treasures, images, and words. 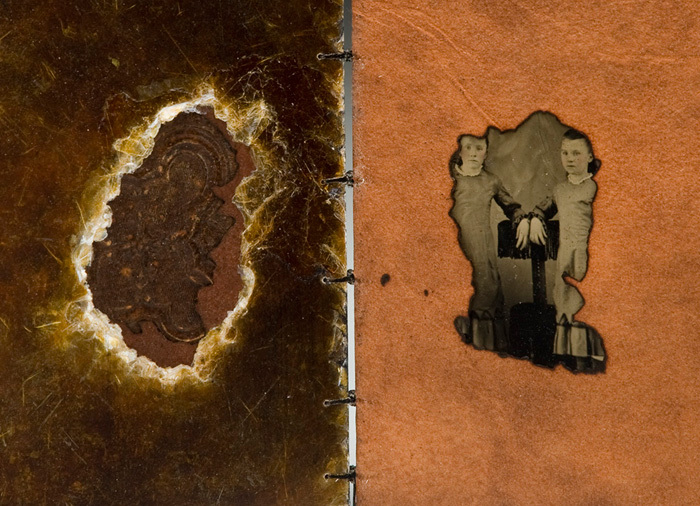 Participants will work with mica—both the natural and manmade forms of this material—and become familiar with its unique characteristics.